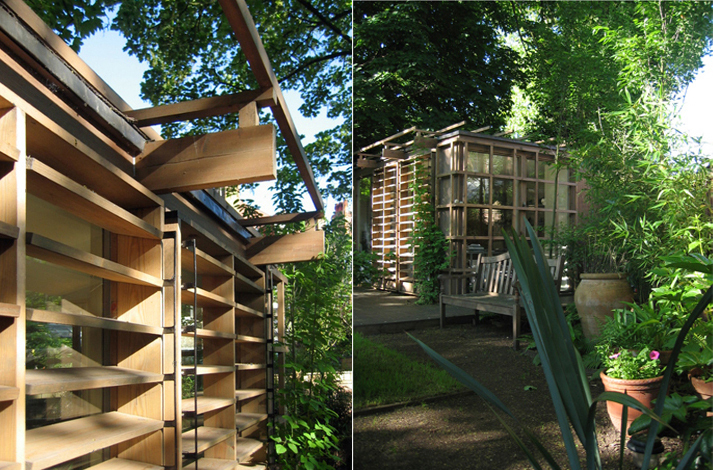 This timber and glass building is light on its feet, sitting on a paving slab at each corner. The design minimised disturbance to the garden and made it possible for all the components to be carried to the site by hand. The walls are mainly glazed, giving the feeling that you have set up your desk in the garden. Adjustable timber louvres and pergolas deal with solar gain and create the impression that the building is a piece of garden furniture.